Stopping is just as important as going in cycling, so why leave that duty up to inferior brake pads? 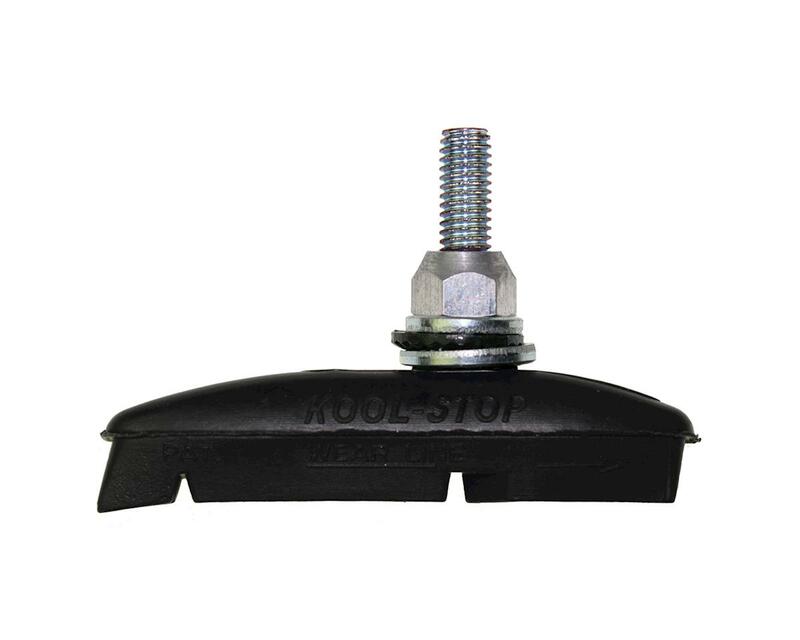 The Kool Stop Eagle 2 Canti Threaded Brake Pads are a revolutionary pad that first utilized the hardened reinforced steel internal backbone. This larger pad has been used in all areas of cycling and is a good choice when frame, wheel and fork design allow. If you want to go with a pad that you know can handle the responsibility of slowing and stopping, then you'll be glad you chose Kool Stop.